How can I find an optimum set of colors for 10 players? I want to give each of 10 players a unique identifying color. Is there an optimum set of colors for this? How do I create one? Every set I've come up with contains colors that are too similar. Update: I was asked below what this is for (fair question). Now I can tell you - Windwardopolis and the colors worked great. That way, even if you stop at 3 or 4 or 7 players, you get a very good hue spread. Many irrational numbers will do, but the golden ratio will work best (it has been proven). 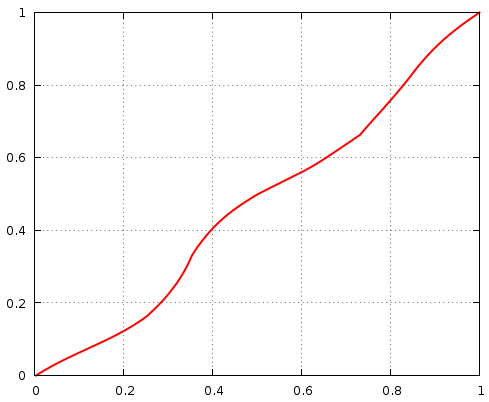 I will publish an approximation of the curve formula for use in programs as soon as I find a reasonably good one. Obv. 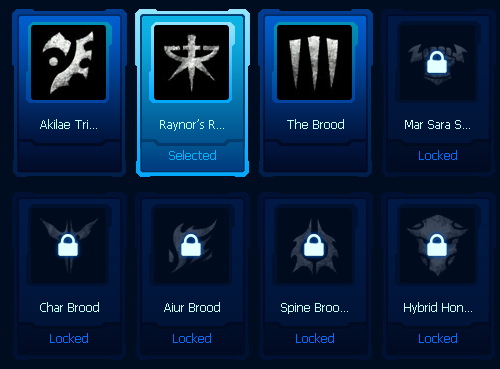 Blizzard are UI geniuses and have studied the problem. They left Green out as a swap-in for Brown on desert maps, so technically there are 9 listed there. As you can see, they are quite distinct and easily distinguishable. Dark green is actually easy to distinguish from teal, possibly because the human eye can most easily distinguish shades of green. If you're sure your players will be female tetrachromats you probably could pick any colors though. 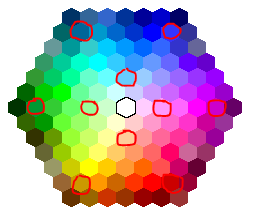 A few people here recommend dividing up HSV color space at 10 equidistant positions on hue. In my opinion, this is actually not a good solution. The human eye does not perceive differences in color equally across the HSV spectrum. For example, what we'd call orange occupies a tiny slice of the band, whereas a good 25% chunk might qualify as green. So it starts with a bad premise. Look at the first row of colors in this answer. The two greens are almost indistinguishable. Remember your users will need to communicate about and refer to the colors. In light of this, the Starcraft/Warcraft theme is a great lead to follow. Choosing based on a list of plain English Crayola colors is not a bad idea at all, because you'll end up with familiar named colors. Then just tweak those colors to be bold, muted, whatever matches your aesthetic, as long as they're still recognizable as i.e. Red, Orange, Yellow, Green, Blue, Purple, Brown, Gray, White, Black. I thought I needed to break this "symbols" approach out into a separate answer. Back in the day, I assume people needed flags and stuff to easily identify an army way off in the distance, so you know whether to attack or defend (in case of foes), or be relieved (in the case of allies). So, incidently that's exactly what you're trying to do. Easily identify something off in the distance. You can do that with just color, but possibly a better way to do that is with color and symbols. 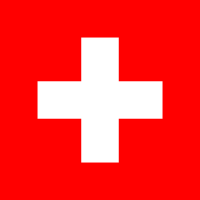 Using a combination of colors and symbols will help colorblind people identify things, as many people mentioned above. If the units are big enough, you could also go with 2-4 color coats of arms. The pattern is easily recognizable, not just a color. 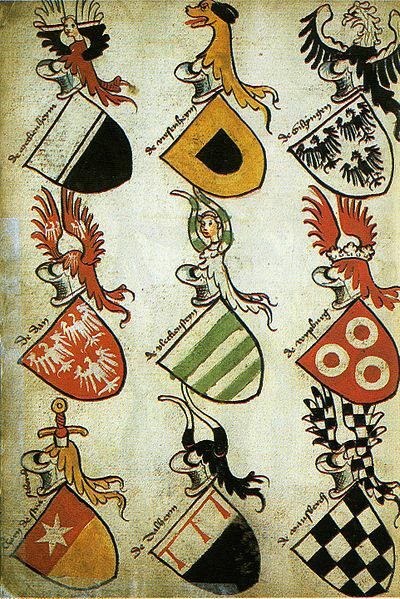 Good texturing could brand the coat of arms quite large on the chest or upper arm of each unit. In the image above, the helmets for different units have different geometry, as well as the shield insignia. 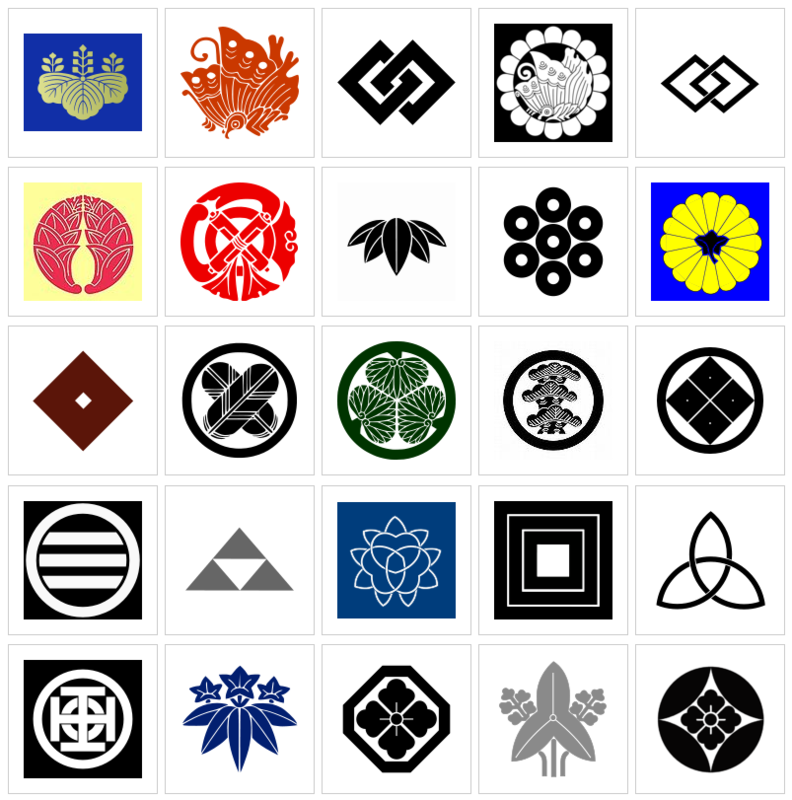 You may find also interesting the idea of Japanese Mon, which are very simple looking "logos"
and aren't used for identifying units so much as colors are. 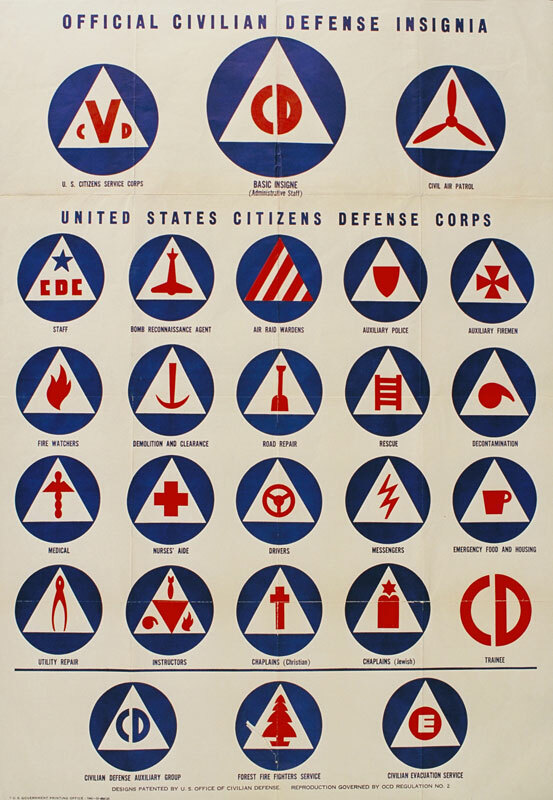 These all have some very simple-looking, yet distinctive flags. The ANSI color are equally distributed on the RGB cube, which is, I think, better suited for this problem than the HSV space. When taking the extremes of the RGB cube, you get familiar colors, like red, blue, cyan, etc. After the eight corner points, you get all the points in between, on the edges. Making 10 colors that can be distinguished is going to be really difficult. This is a pretty common issue in creating graphs or charts for many values, which is why they often use color and shape or color and hash pattern combinations. If you need to display markers, you can use 4 basic colors (red, blue, orange, black for example) and four basic shape (square, circle, triangle, diamond) and get 16 very easy to distinguish markers. If you are coloring in areas, use the same idea but combine colors with hatch patterns in black or white lines instead of shapes. Another thing to consider is to not use color as the only way to tell the side. 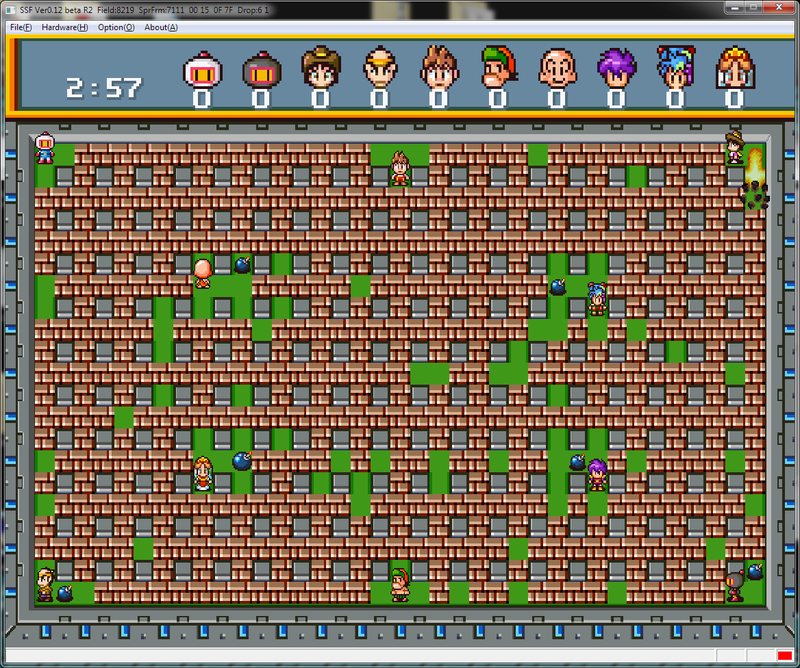 Mousing over an area could highlight it and give a tool tip with the player name explicitly stated. Or maybe a list of the 10 players can be moused over, and as one hovers over a player name, all areas on the map for that player are shown. Even if you can get 10 unique colors that are distinguishable easily by one person, another person may still find this set harder to distinguish. Consider limiting yourself to a smaller set of colors, and adding a distinguishable feature, like a black stripe. For the set of colors, it's probably best not to stray too far from what most people can distinguish easily: ROYGBIV. A simple stripe/no-stripe on ROYGBIV gets you 14 identifying game pieces. "The Tableau-10 palette provides the best color salience and minimal name overlap." Brent Berlin and Paul Kay showed that colour space can be divided up into just a few basic colours, but it depends on your culture in that giving a name to a colour makes it more distinguishable. In English, there are 11 basic colours: white, black, red, green, yellow, blue, brown, purple, pink, orange and grey. Do more than just colors- have visual representations that add to both the lore, the art style, and representation of color. For example Legend of the Five Rings uses an incredible way to differentiate between "set of colors". One of the most beautiful examples to take a lesson from. Take note the hundreds of ways they differentiate between the Clans. It's not just primary colors, but secondary and even tertiary colors as well. The colors are even included in hair style, type of wear, type of character, a symbol attached, flags, banners, mini-flags on the back, personalities. The biggest thing I would take from this is the combination of multiple colors. It is not a simple : Blue, Red, Purple, Brown, Yellow, Green, Teal. It is a combination of two colors, with both being very pronounced. This can allow for a significant amount of additional number of players. Each clan would have both a primary color, and a set of secondary colors. "The Crab was mostly identified with blue-gray, plus black, red, and brown colors." It is beautiful, because no matter what the person looked like (large, frail, samurai, wizard, peasant) you could always tell which clan they were from. 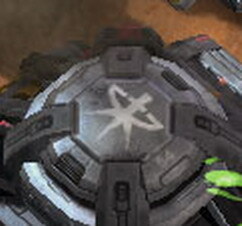 It wasn't just "Red" for Scorpion, it was a dark Blood Red and BLACK. While Phoenix had sunburst colors: red, orange, yellow. You would never confuse a Scorpion with a Phoenix, even if their colors were similar and they both used a lot of red. Try this color mixer: w3schools.com HTML Color Mixer. Here's what I'd do: select a color for the first option. Then, select one for the 2nd option so that the 2nd color is at the exact opposite position with regards to the first one. So the color at position: Row 1, Cell 1 would have the opposite: Last Row, Last Cell. That way you end up with 2 very different colors at the mix's extremities every time. Repeat this 5 times, always selecting colors that are far apart from the last selection. A way to ensure the optimum set in terms of distinguishable colors for a variable number of players (without taking color blindness into account) would be to choose from the HSL (Hue, Saturation and Lightness) color model. Note: I did not use pure black and white, thinking that perhaps they are used as background or outlines. Metodology: picked 12 colors on the saturated face of the color cube (thinking I would be happy with 12), eyeballing their separation, and then - using a tool to simulate color blindness - started tweeking. Afterwards, I added a near white, a near black, and sneaked a gray, because I could. That gave me 15 colors. I wanted 16 colors because it is a power of 2, and I though it could make things easier for developers. Eventually I found a way to add a 16th color, I had to move the others around for that. Then... check again with the color blindness simulation tool, fix and repeat. After playing with the color blindness simulation tool for a while, I have to say, contrast is paramount. Consider for example, consider the 5th (light green), 7th (gray), and 9th (light purple) colors. They look similar on some cases, in particular in small size and separated by another color. However, put them side by side and you can tell them apart. Increase the area covered in the color and you can tell them apart much more easily. So... designing for color blindness is not only picking colors. On that note... if you pick a combination of two colors instead of one to represent a faction, this goes a long way. These color were picked by a very empirical method. I notice that a very important point is to make sure they are all of different brightness. I also notice that most "colors" appear twice (there are two greens, two purples, two browns, etc...). In fact, the 4th color (olive) is the last I added, and I decide it would be a yellow-like color, because there was nothing like yellow. I suppose that can be the basis for a more systemic way to pick colors. In retrospective, I probably should make the second yellow-like color (olive) darker, and use that brightness spot for a pink (see 7th color). ¿Why? Because it would give you more shades to play with. Ern... this is good enough, and getting all the pictures is a hassle. Addendum: Something I didn't consider is how LCD screen distord colors if you look out of the prefered angle range. Not the answer you're looking for? Browse other questions tagged multiplayer color usability or ask your own question. How can I make the “Strength” attribute more attractive to Wizard/Caster classes in a RPG game? Methodologies for deciding the number of characters a design should have? Easy way to set face colors with indexed VBOs? How can I implement multiplayer cloaking with visuals that resists client-side hacking? How to randomly create a fair maze for a multiplayer game?